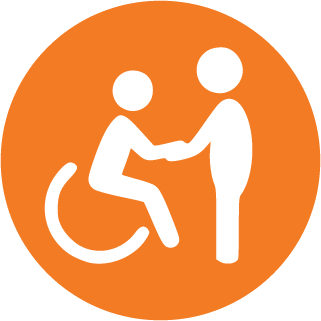 One of our main goals at scosa is to ensure people with disabilities are given every opportunity to enjoy more meaningful participation in their communities. We will work with you to understand what sort of activities are important to you, so that you feel valued as someone contributing to your local community. Social inclusion also means working with others in our community to break down barriers to inclusion, and in particular scosa has a commitment to changing attitudes by working with councils, local industry and schools to enact positive change. What does inclusion mean to you? Social inclusion means different things to different people. For some people, social inclusion might mean having morning tea in a local cafe, or perhaps undertaking some work experience, or even becoming an industry advocate to foster more meaningful employment opportunities for people living with disabilities. We recognise that for some, however, what is most important is the opportunity to have meaningful, lasting friendships, and scosa can certainly help you with this. scosa has been operating in South Australia since 1950, and we have been strong advocates for greater social inclusion for decades. We already work with local councils, in particular, to facilitate greater inclusion, including improving access to community sporting facilities, libraries and other learning centres. Contact us to learn more about how we can support you to become more connected with your community!